It’s hard to fit everything you need in a bag and avoid paying additional luggage charges. Having in mind how much space cosmetics can take up (especially when it comes to female travelers) it’s always a good idea to provide your favorite traveler with a bag of travel size toiletries. It’s super-cute and they can refill it later. Now when we’re speaking about fitting everything in one bag, how about gifting them a new bag? The old one has probably seen the world, but it’s time to replace it with a new one, in a better condition. Choose a quality bag or a suitcase in your loved one’s favorite color. If they fly frequently with low-cost companies, opt for a smaller one, with lots of pockets. Add the perfect finishing touch with a cool luggage tag. We travel to make memories in new places. Buy someone a travel journal and help them save the memorable moments and unforgettable experiences from oblivion. In one year, they will be grateful! 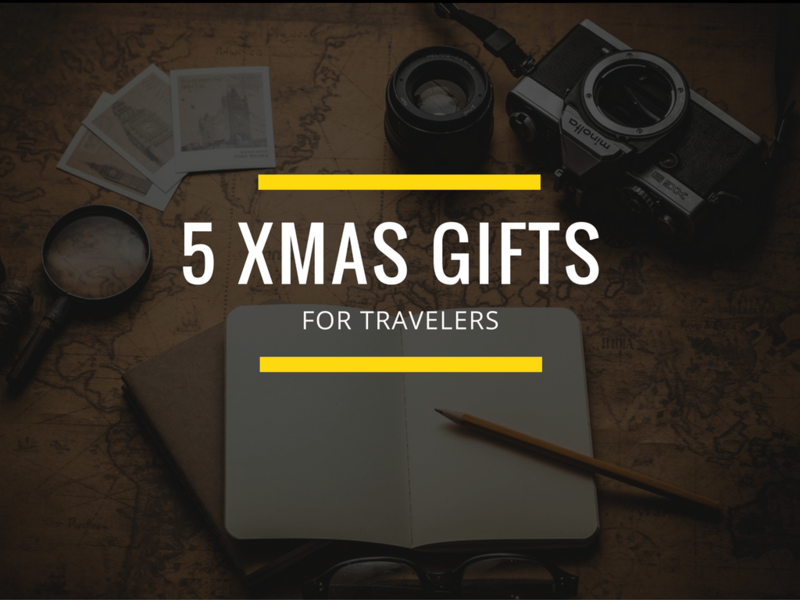 Gifts for travelers don’t need to be expensive. If your budget is really tight this year, and you cannot afford to buy another present, show your favorite traveler that you care by making something personal and unique. It’s priceless! If you have traveled together, collect all the best stories from the trip, write them down, draw them, and complement with the photographs. p.s. If you are the most passionate traveler you know, just casually share this blog post on your Facebook and hopefully, your loved ones will take a hint.